More balloons than you can imagine! 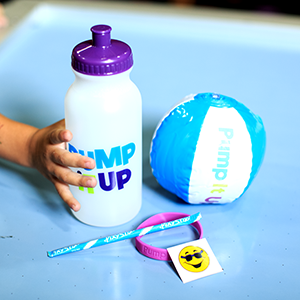 The Boppin' Balloon Bash™ can be added to any PARTY and the cost is added to your base party price. 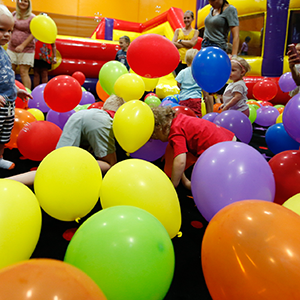 Have a Boppin' Balloon Bash with lots of balloons and your friends to create a party experience you won't soon forget. 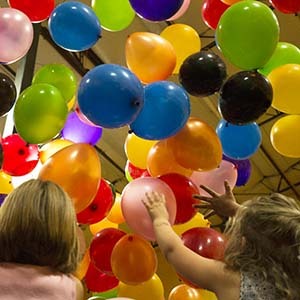 See how many balloons can fill inside a large shirt, build the tallest balloon tower and play other balloon-themed games. Everyone will have so much fun, you will all feel like you're floating on air! Imagine more than a hundred balloons dropping on your child and all their party guests. Kids can only imagine what this experience will entail. Add a Balloon drop for only $35.00 more to this amazing experience to really create something Ultimate! Glow Wars can be added to any Party! - Additional children over the included 25 children are $4.95 each. 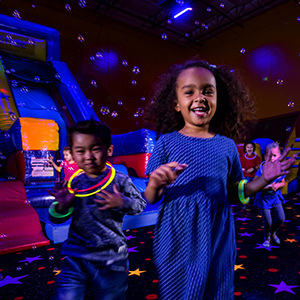 This experience includes Glow Laser Lighting, Glow Necklaces the use of our Glow Ball Blasters that are a real BLAST. The Kids and parents are easy targets for the soft pong balls that GLOW IN THE DARK as they soar through air. These guns can be used in either of our laser lit glow arenas. Adding these guns to your party gets the parents involved and having as much fun as the kids. We will play music that coordinates with your character visit as well as interact with all the guests, have photos opportunities to complete this ultimate party experience. 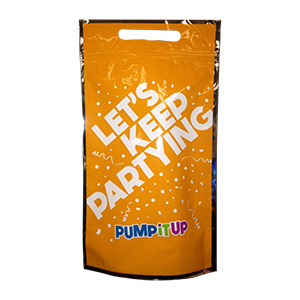 Let us do all the work while you sit back and enjoy the party experience you hoped for. Please call for our complete list of characters available. Book your kids birthday party today and add the Glow feature. $50 to have glow in 1 arena. $75 for 2 arenas. To see Glow in action, watch the video below! Does your child love balloons? Then add a balloon drop to your party! We will do a count down and all the balloons will be released above the kids! Each child gets to select their own personal temporary tattoo, and our Party Pro will apply with Glitter. All non-toxic and lasts for several days. There's a reason we're Randolph kid's favorite birthday party place!